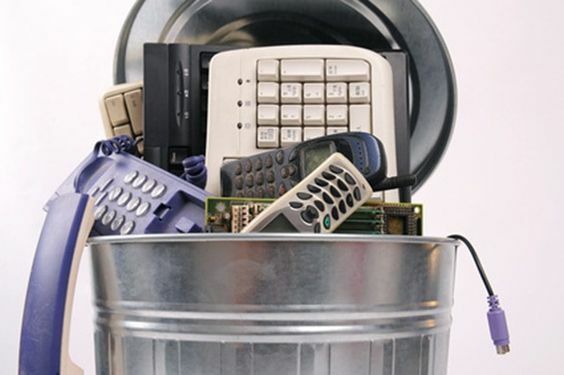 Electronic waste contains chemicals and materials that are hazardous to the environment. Toxic substances such as lead, mercury, arsenic and cadmium may contaminate groundwater when landfilled. Nobody wants that! Electronic waste that’s recycled through proper channels means that many of your computer’s working components will be reused. Recycling in this manner means the energy and time required to turn out new units in the manufacturing process is greatly lessened. Personal safety is maintained. Even if you think you’ve erased all the personal files from your computer or phone, throwing these items into a dumpster makes you susceptible to information theft. Choosing a trustworthy e-recycling program means your identity will be protected. Many jobs are created by e-recycling. The centers that process electronic recycling often create environmentally-friendly jobs in disadvantaged communities. With the explosion of growth in the electronics industry, combined with short product life cycle, there has been a rapid escalation in the generation of solid waste. Keeping electronics out of landfills is important to managing the size of these facilities. Overall, we all just want to do what’s right for our community and our planet, and since at Hollywood Storage Center electronic recycling is free and convenient, there’s no reason not to recycle your electronics, right? We accept computers, TVs, DVDs, VCRs, MP3 players and all other electronics seven days a week at our Newbury Park storage facility. Looking forward to serving you! This entry was posted in Cleaning Tips, Hollywood Storage Center, Organizing Tips and tagged electronic recycling, Hollywood Storage Center, Newbury Park storage by Hollywood Storage Center. Bookmark the permalink.